You no longer need to replace an entire room of carpeting just because of a few stains, burns or other imperfections! 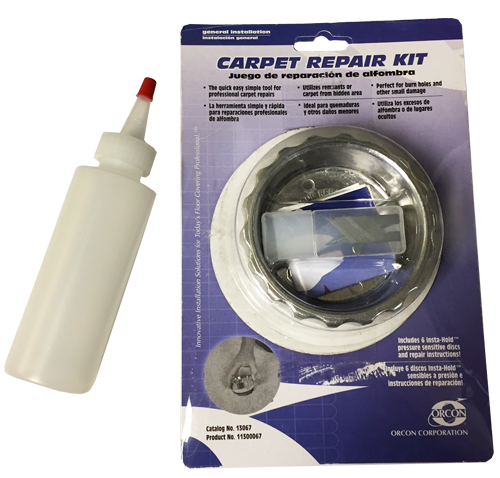 Use the Orcon brand carpet repair kit to make virtually undetectable carpet repairs. There are simple, easy-to-follow instructions. If you can use a cookie cutter, you can use the diy carpet patch kit. Use with a remnant piece of carpet that you have on hand or find a remnant that matches the carpet. There are refills available for separate purchase on our for the cutter blades and sticky pads.